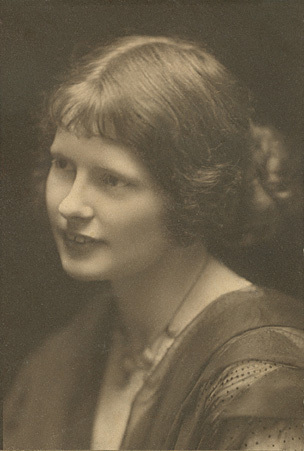 4th November 1883, Evelyn Maude Blanche Paul was born at 30 Torriano Avenue, Kentish Town, in North London. Her father was portrait painter Robert Boyd Paul, (1819–1903), and her mother Annie née McGlashan, Robert Paul’s 2nd wife (b. c.1858 at Gibraltar). 1891 census “Evie”, aged 7, is living with her parents at 30 Torriano Avenue in Kentish Town, London (census ref. RG12/Piece 140/Folio 73/ Page 28). 1903 – father Robert Boyd Paul died. 1906: Entered the Schools of Art National Competition. 2nd April 1911 – census night – Evelyn, aged 26 and an ‘art student’, was living with her widowed mother, Annie, back at 30 Torriano Avenue, Kentish Town. (Census ref. RG14 PN712 RG78 PN25 RD9 SD3 ED2 SN218). Meanwhile her fiancée Alexander George Small, ‘Artist, Painter and Sculptor’, was living at 49b Brecknock Road, just a couple of roads away from Torriano Avenue. (RG14 PN712 RG78 PN25 RD9 SD3 ED2 SN119). 1st June 1911 – married Alexander George Small at St Pancras Register Office. Alexander was the son of William Small (1843-1929), a well known painter and honorary Fellow of the Royal Scottish Academy. 29th January 1963 – Evelyn Blanche Small (“widow of – Small, sculptor”), of 12 Gaisford Street, St Pancras, died at St Pancras Hospital from broncho-pneumonia. Evelyn Paul photographed by Lizzie Caswall Smith at the Gainsborough Studio, Oxford Street. The identity of the studio dates the photograph to no earlier than 1907, when Evelyn would have been aged 24.